If you are looking for the sounds of the sea, the tranquillity of deserted beaches and a world tucked away in a peaceful corner where man has left it as nature intended, Alicudi is the perfect choice among the Aeolian Islands. 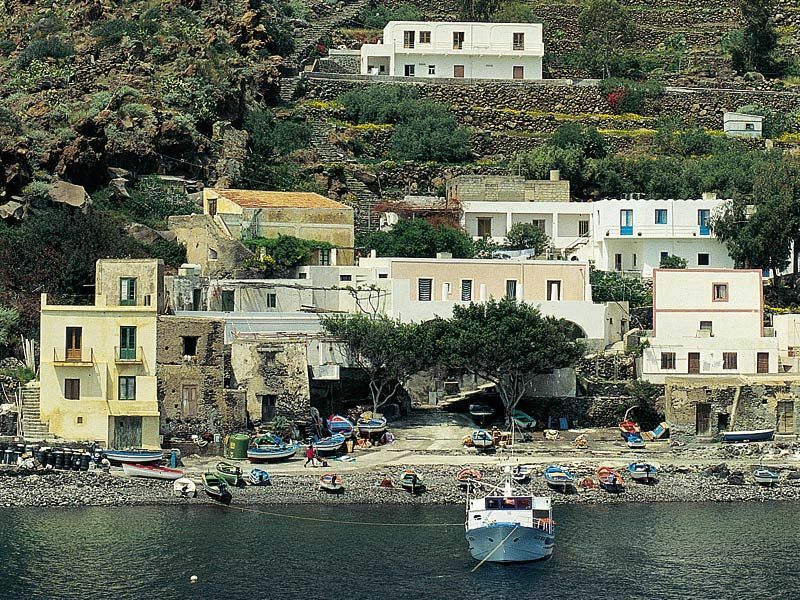 Compared to the number of tourists on the other islands of the archipelago, Alicudi has very few. This infertile island has managed to catch some tourists attention all the same. Alicudi offers just few facilities: a hotel with a restaurant, another restaurant, roads which are not clearly marked, few grocery shops, a post office without fixed opening hours and a doctor- creating a charming atmosphere. Life developed until fairly recently even without electricity or television. You will be stunned by the simplicity of the everyday life of its 100 inhabitants. The island that, some years ago was Mafiosi’s prison is today inhabited by farmers and fishermen. Climbers and trekking enthusiasts can enjoy Filo dell’Arpa reaching 675m. When you arrive at the summit from an open pathway it is possible to see the extinct Montagnole and the Timpone delle Femmine (a kind of natural shelter of caves where women hid when pirates staged raids). Alicudi offers heavenly tranquil and quiet beaches whose silence is only interrupted by the lapping water against the little fishing boats. The best locationfor sunbathing is towards the south of the port. Ericusa hotel on Via Regina Elena features a well respected restaurant serving tasty filling meaty dishes. There is only one other restaurant on the island called Airone. 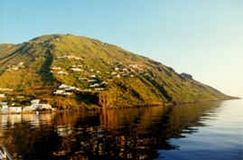 Compared to other islands of the archipelago Alicudi is the hardest to reach although ferries and hydrofoils are more frequent in the summer. On Via Regina Elena you will find both ferry companys´ offices serving the island: Siremar and Ustica lines. There are three hydrofoils and one ferry serving the island in the high summer season. Another service from Cefalù only operates during the summer.